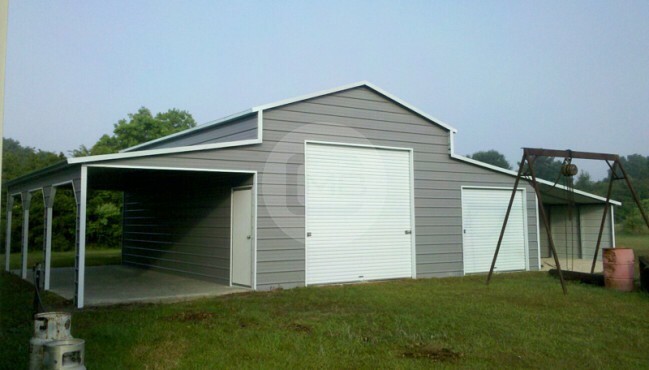 A 50’x50’ metal building from Metal Barn Central is a great multipurpose solution for a variety of needs. Whether you need space to house your small business, a place to secure your vehicles and equipment, or a facility for any type of storage, this building can accommodate all your needs. With clear span framing, this building provides 2500 feet of open, column-free space that can be customized and divided any way you choose. 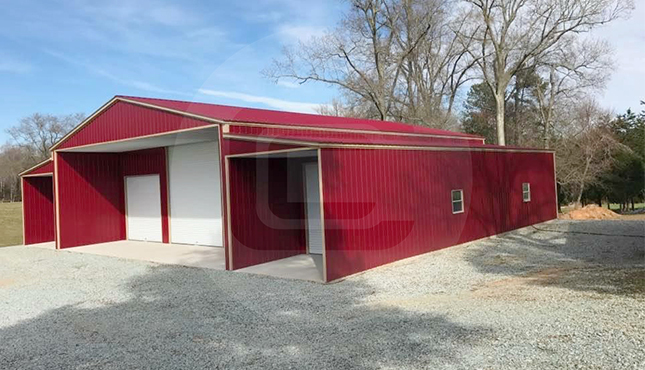 You could even choose to design and customize a portion of the 50’x50’ metal building to be used as insulated, climate-controlled living space (complete with walk-in doors and windows), and then set aside the rest of the building as designated storage space. Or maybe you don’t want to live in your metal building, you just want to be able to escape there when the need arises. This building is a great place for a Man Cave or She Shed! A building of this size is also ideal for many retail and commercial applications. We’ve seen customers use these 50’x50’ buildings as gym and exercise facilities, offices, storefronts and retail shops, breweries, garden centers, greenhouses, parking garages, and more! Those in agriculture really like the storage capacity of this building, too. More people reach out to us about our 50’x’50’ buildings for storage needs than for any other reason. 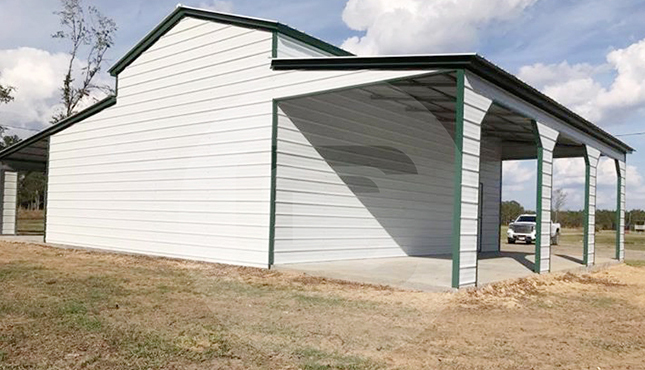 Your 50’-wide metal building can be equipped with garage doors, walk-in doors, windows, gables, and other customization options for full functionality and convenience. WHY CHOOSE AN ENGINEERING METAL BUILDING OVER A STICK BUILD? Many businesses and homeowners prefer metal buildings over wood for the simple reason that they last up to 4 times longer (or more)! 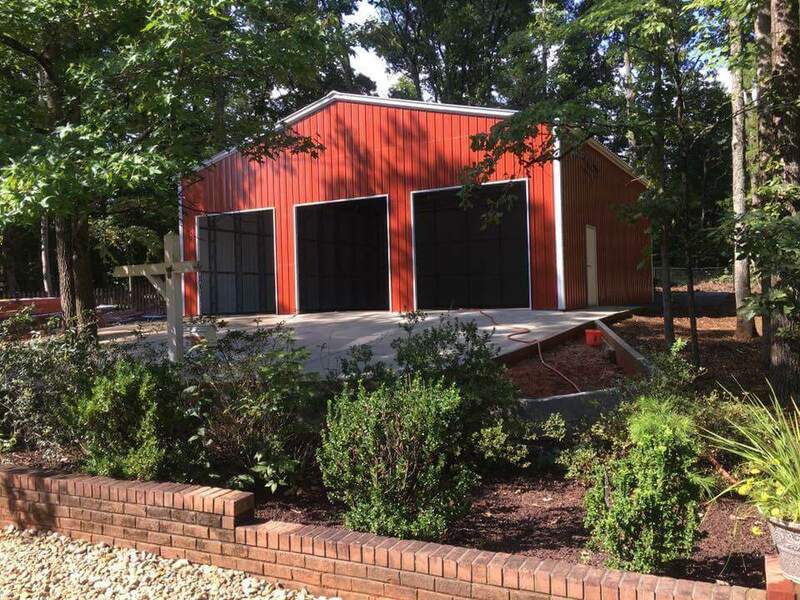 Why else should you choose a steel building from Carport Central over a wood-frame building from someplace else? Are you someone who cares about doing your part to conserve Earth’s resources and reduce your ecological footprint? You can’t choose a better construction material than steel. Steel is one of the most recycled building materials in the United States, and it continues to be in high demand. When you go with a steel building, you’re making an investment in something that is almost 100% recyclable, should you ever decide to repurpose your space in the future. If you’ve got a particular metal building in mind, go ahead and give us call today at (980) 321-9898, one of our friendly and knowledgeable building specialists will be happy to help you get started! OR, you can navigate to our awesome 3D building tool and start designing your custom building yourself at 3D Steel Building Designer!